The 10 Best Bars in Texas! We tend to do things bigger, and better, in the Lone Star State. And that doesn’t stop with our incredibly cool bars. Is it a cocktail you crave? Ice cold, neat, or shaken? Maybe it’s beer you prefer, or a fresh glass of wine. 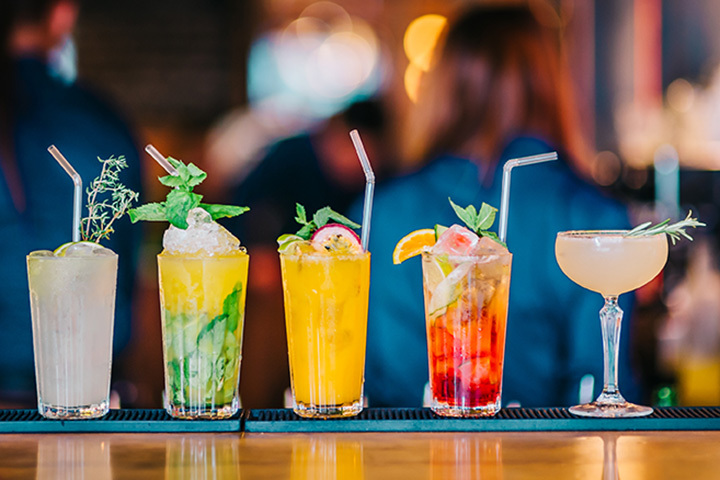 Either way, Texas’ best bars are not only serving up delicious libations, but also great vibes that will make your night memorable. Here are the 10 best bars in the state! What can you find at this modern day absinthe bar? A finely-curated list of pre-Prohibition beverages and carefully chosen wine list. They also serve up tasty French fare to pair with their libations. Don’t be shy to ask questions or for recommendations—the staff is super friendly and knowledgeable! What a suiting name to invite patrons in! Check out their classic and simply fantastic 100 cocktails. They keep it simple, sweet and a great place for you to unwind and just enjoy your time. Do you like delicious food to pair with your beverage? Do you like to karaoke? Well this is the place to be for all of that, combined! Don’t be shy, have a bite and sip to drink and muster up some courage to take the stage to sing your favorite tunes! Quite the lively place to be for San Antonio nightlife, SoHo Wine and Martini Bar is usually a packed house. You should plan to arrive early if you want good seats to enjoy your beverage when live jazz plays. One great thing about living in Texas...our beaches. Rockport is the sweetest small town where everyone knows everyone. And everyone also knows that sipping on a Bloody Mary and overlooking the waves crash the shore with your pals, is the way to spend your morning and/or afternoon. This bar is exactly what people think Texans are all about. It’s rustic, with a little bit of honky-tonk thrown in. Little do people know that the drinks and food come at a bargain of a price and the locals as well as visitors love to brag about their experiences here. People usually come here for the drinks and paired amazing live musical performances. This is the place to be in all of South Padre Island. Cold craft beers, tasty food and an outdoor porch to enjoy it all to the fullest! This is definitely the place to be if you are a lover of rock music and cold beers, mixed shots and more! People come here for the entire atmosphere—it’s just the perfect amount of loud. Um, YES PLEASE! Classic arcade games and moderately-priced cold adult beverages to pair? It’s basically the best place to be for adults of all ages! This is the thing about the greatest Texas bars—they’re almost always filled with not just tasty libations, but tasty bites of food to accompany! What could be more exciting than fresh gumbo, cold beverages and the Texas coastline to view? View more Texas Bars and Saloons.